A couple of weeks ago I decided to put my January spin classes and gym sessions to the test with my first decent outdoor ride of 2017. On the Friday night I cycled a circuitous 22 miles across London to a friend’s house – it was not enjoyable in evening traffic and on the side of screaming fast A roads, with Google Maps insisting I used every canal path that existed. The following morning I decided to improve on that ride, and used a compass to head out of London on the direction of Brighton. Relying primarily on the compass made the ride more enjoyable, but it was only beyond Gatwick that I started to really enjoy the myself as the roads and countryside reminded me of Cheshire. I still found myself on the odd muddy path, with my white road bike looking like a well-used cyclocross bike. 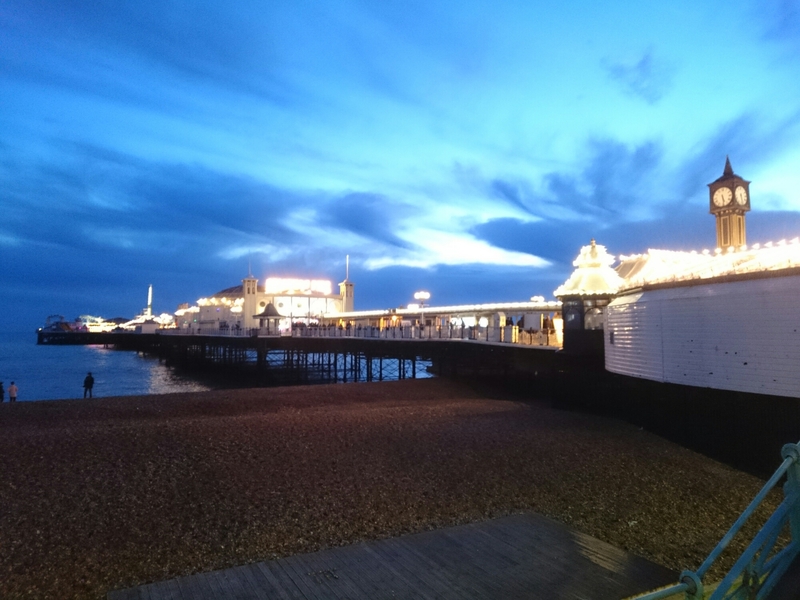 I occasionally wondered if I make the best life decisions, but I made it to Brighton Pier in one piece at sunset. An indirect route at 62 miles, but satisfying. The view made it all worthwhile. And the black cod and chips at Bardsley’s chip shop brought back my energy! Also, a big shout out to the staff there – they let me bring my filthy road bike into the restaurant! Tonight as I get my road bike and supplies ready for tomorrow morning’s ride, I look past the pain of having to clean the road bike after every ride in winter (it picks up a load of dirt on these roads in this weather). I look past the traffic, the narrow canal paths and the occasional navigational error. Instead I’m already imagining the rolling country roads and the destination. I may have a cold, but I’m still psyched to get out and ride this winter!